Ms. Currie is a highly regarded and experienced public affairs and communications professional with significant national and state experience in technology, corporate responsibility, development, political, government, and marketing communications. Prior to joining Singer, Ms. Currie founded an independent consulting firm, providing strategic communications and public affairs services for diverse clients – from venerated nonprofits to dynamic startups. 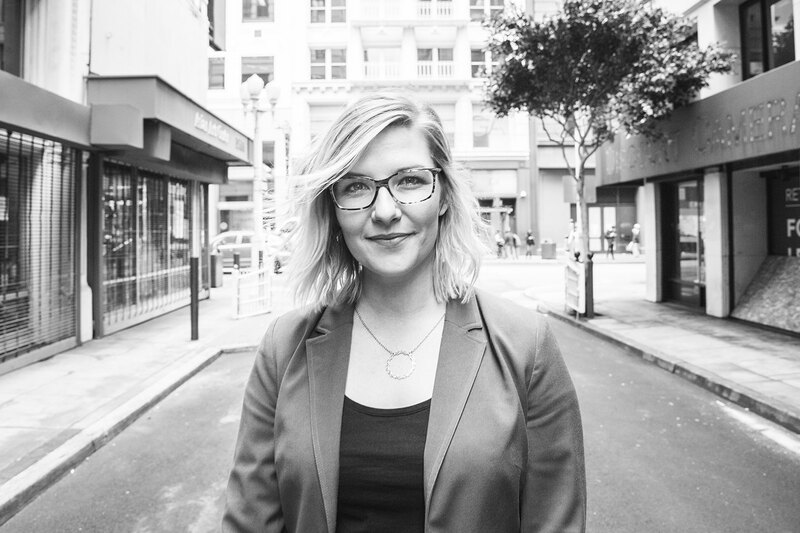 Previously, she had served as the Assistant Director of Development at Project Open Hand in San Francisco, directing all community engagement and event strategy, corporate partnerships, fundraising, communications, and marketing. Prior to her nonprofit work, she managed state and local government relations for eBay Inc., specializing in policy issues relating to corporate citizenship, innovation, privacy, tax, and real estate. She began her career in Sacramento, in the administration of California Governor Arnold Schwarzenegger, and advocating on behalf of more than 200 high-tech member companies at TechAmerica (now CompTIA). Ms. Currie received her B.A. from San Francisco State University, where she serves on the Alumni Association Advisory Board. She has served on volunteer coach for Girls on the Run, sits on the Marketing Committee of Friends of Larkin Street and a member of the San Francisco League of Women Voters.